Bukit Lawang is a great place for an adventure on a dirt bike. Explore Sumatran landscape and local villages while practicing or showing off your driving skills. The variety of the terrain in and surrounding Bukit Lawang is a true trail riders dream. It offers everything you could want from a motorcycle adventure; hill climbs, muddy tracks, river crossings etc. 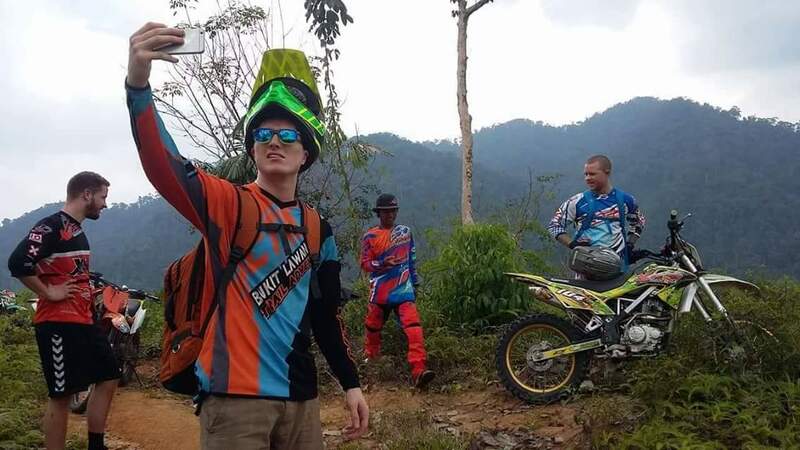 Whether you are an experienced rider or a beginner off road trail rider, Bukit Lawang Adventure has a dirt bike tour for you. We offer half day trail tours for both the ‘Hobby’ driver (beginner) and the ‘Challanger’ driver (experienced). At 9 AM our guide will pick you up at your guest house or hotel after which you will walk to the place where you will get your dirt bike. Here you drive around for a bit, practice and get familiar with the bike. 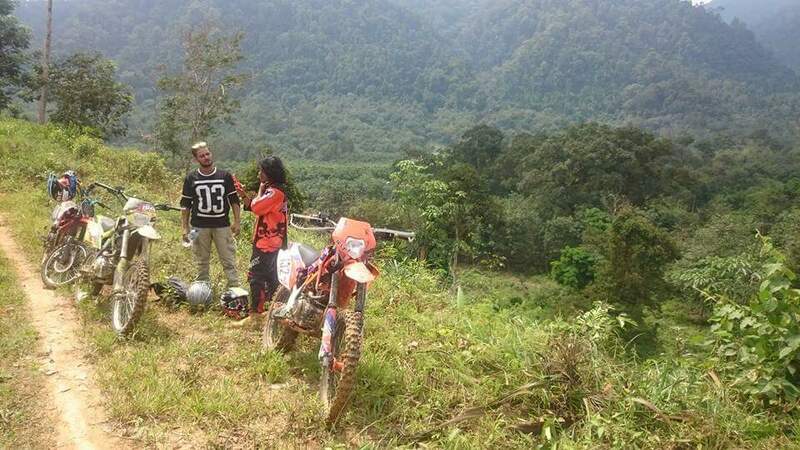 After that you will start your Dirt Bike Adventure with your English speaking guide trough the palm oil plantations and landscapes for about one hour. You will arrive in the village ‘Kampung Bukit’, where you can see people make brown sugar, make tofu and other things. 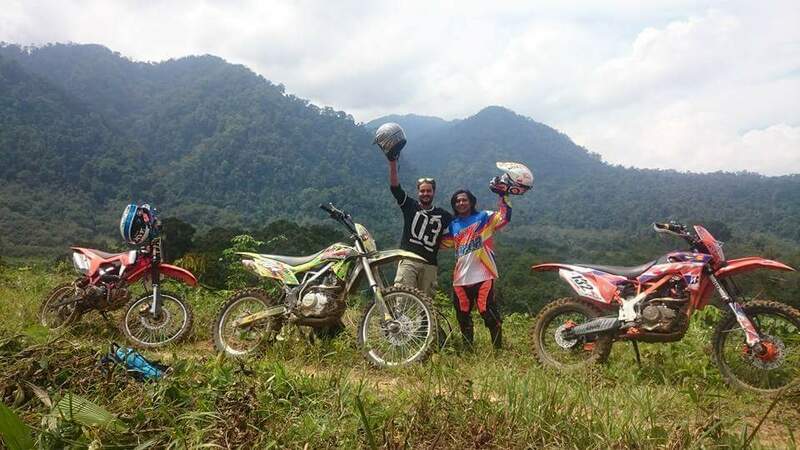 From Kampung Bukit you will continue your Dirt Bike Adventure trough some rubber plantations and beautiful rural area. Half way through your adventure, your guide will bring you to Landak River, there you can swim and eat a delicious local lunch while enjoying a beautiful jungle view. After the lunch break, you will continue your trail for about 1,5 hour more, finished your tour back to Bukit Lawang.